Gracefully exotic, the Trinity collection offers classic sophistication for transitional interiors. Its sculptural forms of metal and glass are enhanced by a classic finish. Trinity's style can transform a room or your whole home with its charming versatility. 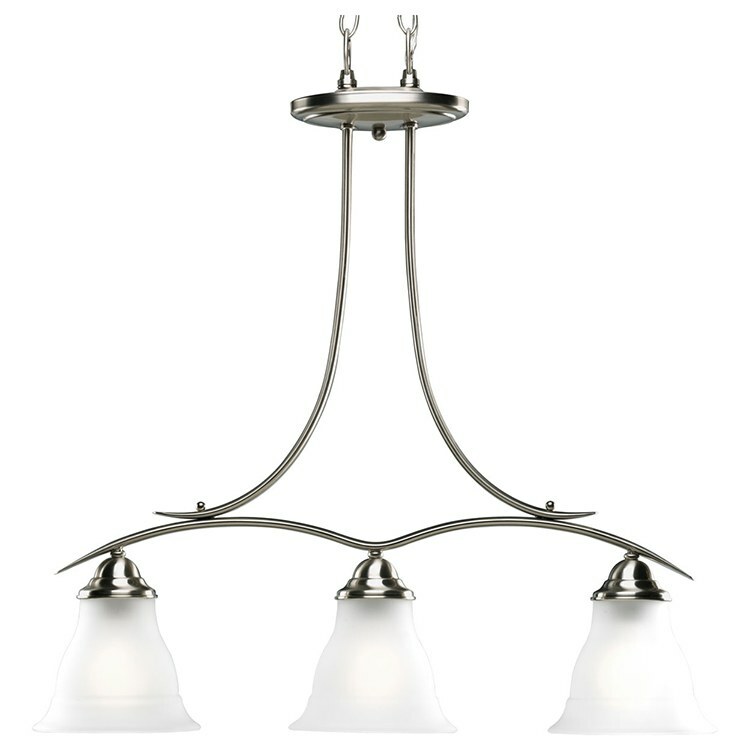 This three-light linear chandelier features soft angles, curving lines, and downward-facing etched glass shades with slight banding. The canopy covers a standard 4" hexagonal recessed outlet box. Includes a mounting strap for the outlet box and two pieces of six feet of 9-gauge hanging chain. Progress Lighting offers the most comprehensive lighting portfolio in the industry, with nearly 5000 products for every style, budget and application, indoors and out. With a century of experience in brightening homes and facilities, Progress is an industry leader with award winning products and a reputation for quality, value and service. Progress keeps up with trends by constantly introducing stylish, functional new collections and energy efficient lighting technologies.